This calendar includes all events that are directly related to IWOC membership, including regular meetings, co-hosted mixers, IWOC get-togethers (regional breakfasts and lunches), and board meetings—which any member in good standing may attend. And as a service to the community of Chicagoland freelance writers, it also includes non-IWOC events of interest to independent writers. We're here to serve the cause of freelance writing. 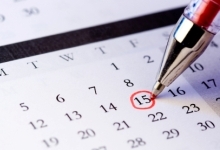 If your organization is hosting or sponsoring an event that you would like to see posted on this calendar, simply fill out and submit our handy online Event Posting Request form. And if you have any questions regarding the process, please contact our webmaster.